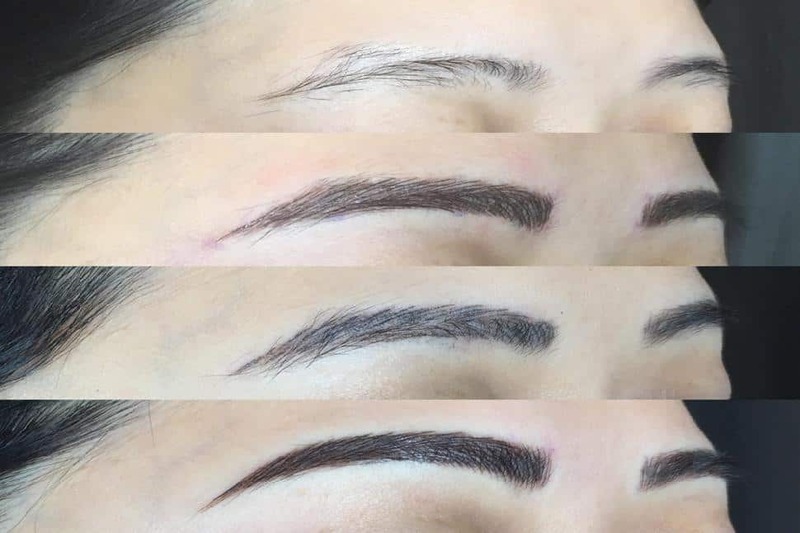 Bold, fluffy eyebrows are still trending strong, and microblading offers a way to achieve the look without the inconvenience of having to apply makeup every morning. 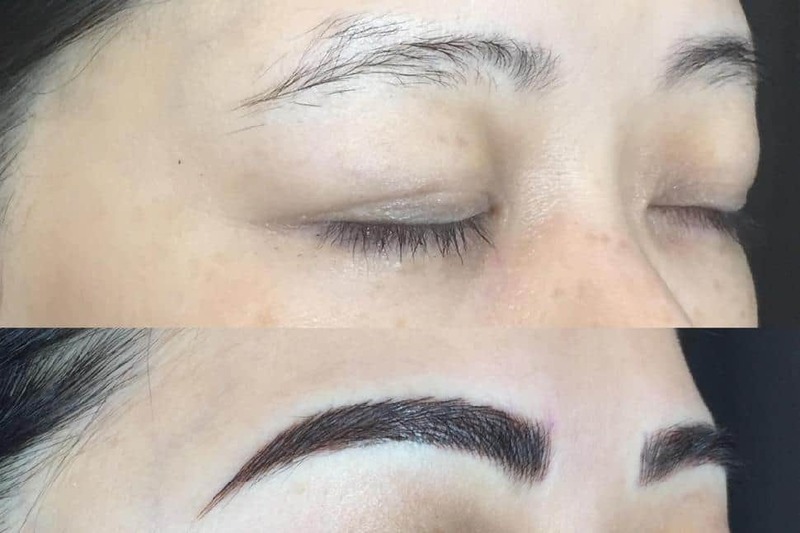 Microblading, or eyebrow tattooing, is a semi-permanent procedure that draws individual eyebrow hairs, reshaping brows and filling in missing parts. And for those with alopecia or coping with the side effects from treatments such as chemotherapy, microblading can provide a real boost to self-esteem. The treatment lasts one to two years (depending on how well you maintain your brows afterwards and how quickly your body metabolizes the dye), and getting regular touch-ups approximately every 18 months will ensure your brows remain looking fab. But truth be told, it hurts. 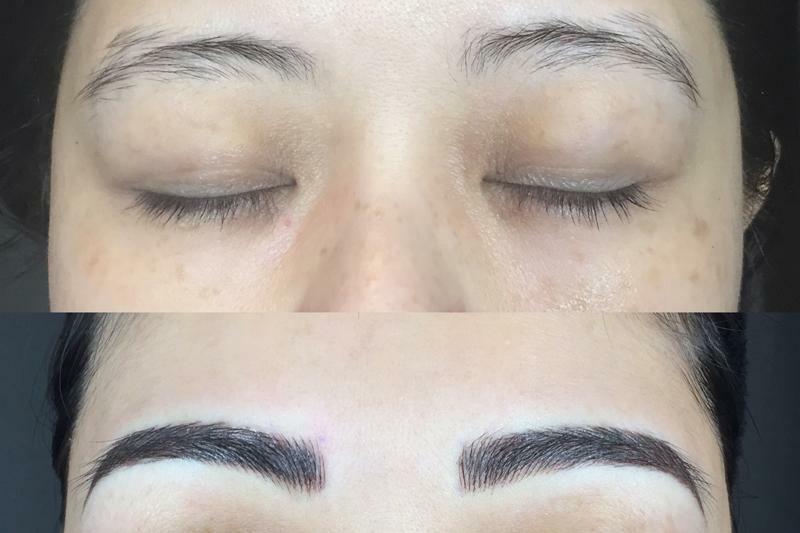 Microblading involves making tiny incisions into the skin and while two anesthetics are typically used, it is painful (more on this below). And any time you break the skin, there's a risk of infection, so always ask your technician about their safety protocols. Joy Stewart from Touch of Joy says, "It should look like they're prepping for surgery: sterile tools, packaged one-use blades, masks, gloves, the works." 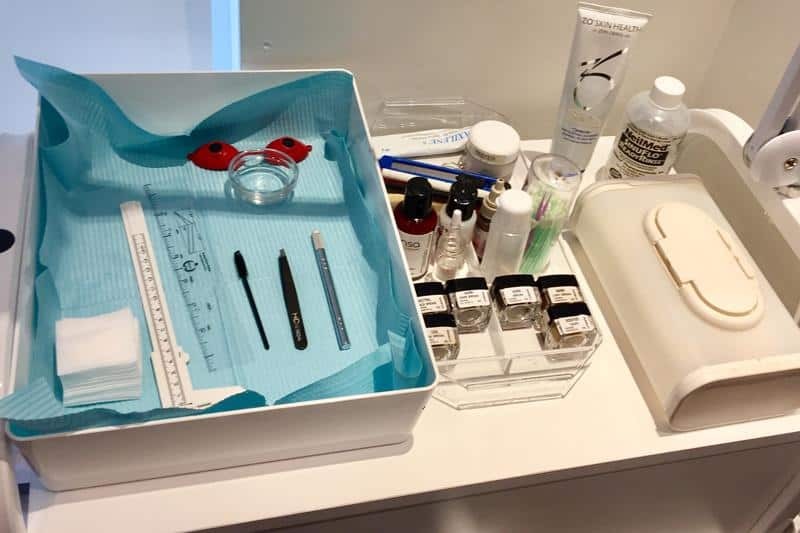 Fully certified microblading services are very new in B.C. 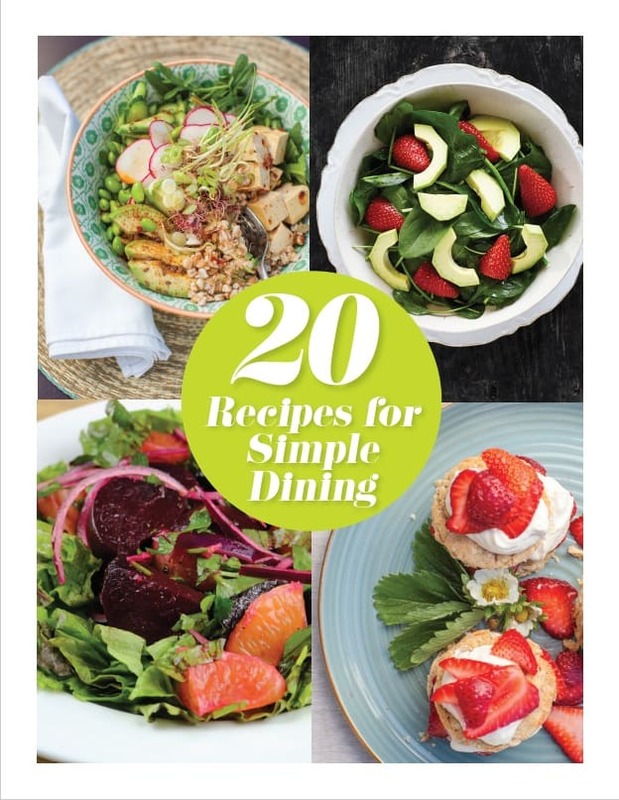 During these early days, pop-up shops and bargains are abundant. But it's expensive to perform microblading properly and safely. Blades must be quality stainless steel (cheaper ones are an alloy) and one-use only; dyes should be iron oxide (cheaper ones are synthetic and fade quickly, unevenly); technicians should have completed extensive training and hold current Certified Cosmetology Professional (CPP) and BeautySafe certifications (ask for these when doing your research). Ask your technician about their current certifications. Be aware that these are the same certifications that tattoo artists must have, so some larger clinics that offer tattoo services use that artist's certifications as an umbrella for the entire clinic. Ask for your technician's own individual certifications. Word of mouth is gold in these early days. Don't just ask about good treatments. Ask people if they know of any bad experiences and keep track of both. If you don't know anyone in person, Instagram is full of great pictures and can give you a head start in your research. If it's too good (cheap) to be true, it is. Don't risk your health on a bargain. Microblading is an investment, for you and for your technician who's put in a lot towards training and equipment. Microblading will generally start at around $600. This price tag comes with a complimentary touch-up (always necessary), so be wary of places that offer cheaper prices based on per visit or per hour rates, which can quickly add up to more than a flat fee. Ask to see plenty of before and after pictures. Scrutinize and ask questions. Make sure the photos are recent and actually represent work performed by the technician you're thinking of using. Walk away from any clinic that isn't ready to happily answer any of your questions. If there's nothing to hide, there's nothing to fear. If you use Botox, have your treatment two months before or two months after mnicroblading. 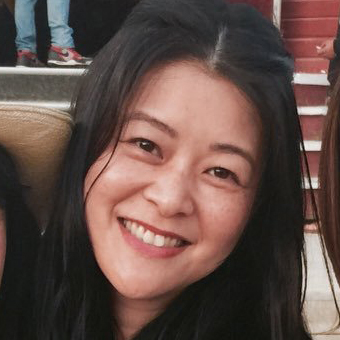 Stop using "actives" such as retinol, AHAs, BHAs, glycolic acid, salicylic acid, etc. around the brows. You can still use these products on the rest of your face, but be sure to wash your hands thoroughly before touching your brows. Avoid the sun and tanning in general for one week. Avoid brow waxing or tinting for one week. Avoid any waxing treatment for 72 hours. Avoid aspirin, niacin, vitamin E, ibuprofen (Advil) for 48 hours. Avoid fish oil, prenatal vitamins, nutritional shakes, hair & nail supplements for 48 hours. Avoid alcohol and caffeine for 24 hours. Also, you'll need a few supplies at home immediately after to help maintain your brows while they heal, so ask your technician what they suggest. Generally, you'll need saline solution for cleaning, cotton swabs or gauze and coconut oil. For at least 10 to 14 days after your treatment, you'll need to clean your brows with sterile saline solution. 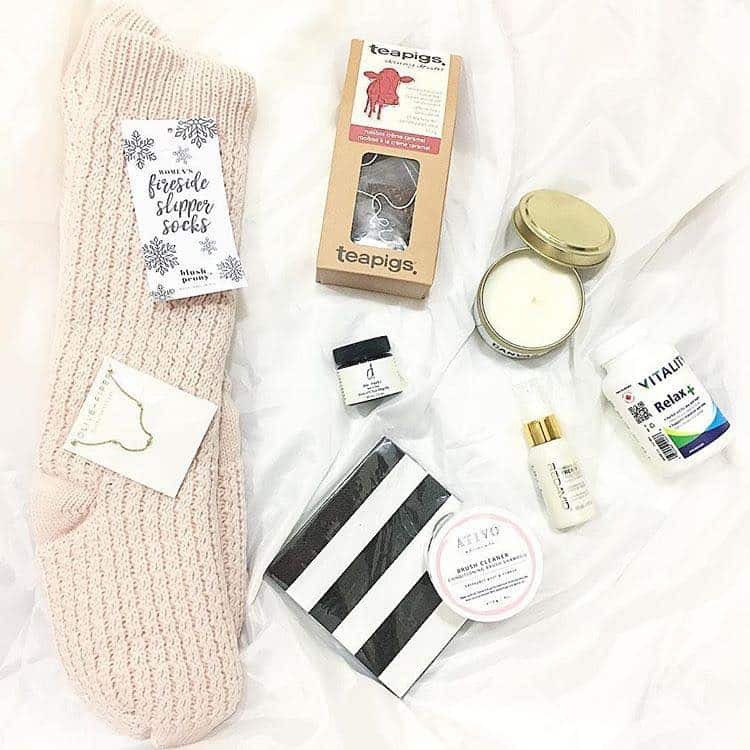 I personally preferred using cotton swabs over gauze as it was not only more precise, but offered some light exfoliation to help gently clean off any bits that were sloughing away. And not every clinic will recommend coconut oil, but they do at Touch of Joy partly because it provides minimal sun protection (crucial during the healing stage as UV light degrades the dye) and helps with the itching. I went one day without coconut oil to see what would happen and my brows were noticeably itchier; anything you can do to prevent yourself from picking at your brows while they're healing is definitely advisable. Everybody wants to know about the pain. While a few freakishly lucky clients manage to sleep through this procedure, most others will feel degrees of discomfort. Two different topical anesthetics are used. The first is a numbing cream to help dull those initial 10 or so incisions. After these are made (at various points across the entire length of each brow), a numbing gel is applied, which is absorbed deeper through these incisions and should make the rest of the procedure much more comfortable. And yes, this magical numbing gel is constantly reapplied throughout the procedure. To help manage the pain, you can take acetemenophen (Tylenol) beforehand (do NOT take aspirin or ibuprofin/Advil). Also, try scheduling your appointments for mid-cycle, when your pain threshold is as its highest. Your initial appointment will take three to four hours. The first hour is spent drawing out your brows. You'll go back and forth with your technician tweaking the shape. If you have any inspiration pictures, bring them so your technician knows the look you're going for. A good technician is also an artist and will have a great eye to help you find the best look for you, but will also rein you in if you want to transform your naturally thin arches into full-blown Cara Delevingne. After mapping out the brows, your technician will show you recommended colours and custom mix if necessary. The tool used for making the incisions looks like a simple pen tool with a blade attachment. On closer inspection, you'll notice this main blade is actually comprised of a number of tiny blades. Your technician will choose a couple of blades that closely match your own hair diameter; using different sizes provides more realistic results, since your brows naturally have a variety of diameters. Your technician will alternate sides every couple of strokes, helping to ensure symmetry and to give each side a little break from any discomfort you might be experiencing. 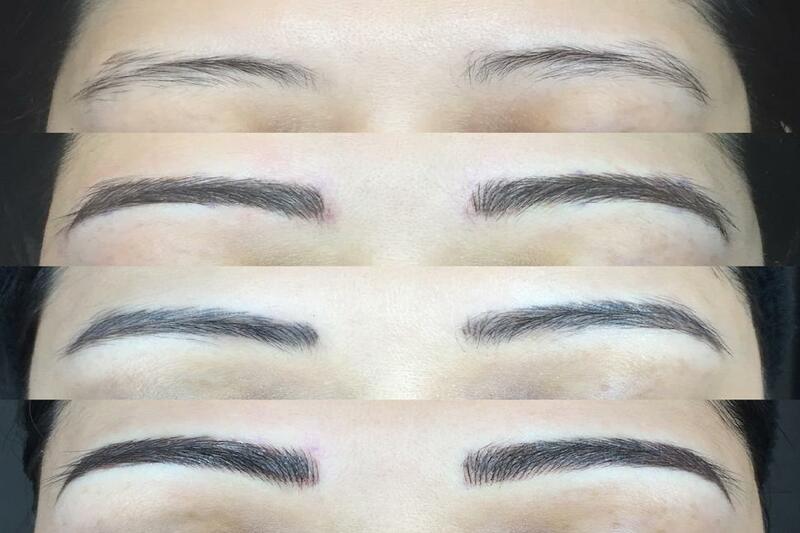 You'll be asked to sit up once or twice and make different facial expressions so your technician can ensure your brows are moving naturally and look good in a variety of situations. Touch of JoyThe second most frequently asked question I got about microblading was related to the downtime. While there are a few days where your brows won't look their best, overall there's virtually no down time. You can (as I did) go out immediately after and continue with your work/personal life as usual. You need to take special care of your brows (details below) but otherwise there's no need to hide out. Your brows immediately after microblading are 20 to 40 per cent darker and about 15 per cent thicker than they'll eventually settle at, so don't worry about those aspects. Because I was putting coconut oil on my brows religiously, the oil kept migrating downwards so I simply skipped eye makeup all together during the healing phase and rocked a bold lip colour to balance out the pronounced brows. Everybody will heal at a different rate, but for me, the first week was non-eventful. I cleaned them carefully (details below) and kept patting on coconut oil and noticed minimal change. They were a bit itchy and I could feel the scabs becoming more rigid as time passed but otherwise couldn't see anything beyond the bold brows. By day 10, the scabbing started to lift and shed, and as it did so, it pushed the hairs into odd angles so they weren't laying flat or straight. Do not be tempted to pick, peel, brush or tug on anything during this healing process. Your brows will look odd for about two days at most but the average person won't notice. You will, because you've been obsessively staring at your brows, but no one else will. By the end of two weeks, the majority (but not all) of the scabbing will have sloughed off and things will start to lighten up considerably. At around six weeks, you'll see the true colour of your final brows. Three to four hours after the microblading procedure, clean your brows with saline on cotton pads to remove residue and prevent heavy scabbing. Continue cleaning the brows at least twice a day with saline to keep them free from dust and germs. Until your skin fully heals, it's prone to infection. To prevent fading, avoid UV light. While the brows are healing use only physical barriers (ex: sunglasses, hats, etc.). After healing, apply sunscreen. Saline and coconut oil (natural SPF of 8) should be the only things you apply to your brows while they're healing. Do NOT use alcohol, as this may react with the iron oxide and turn the dye blue. Avoid rubbing, scratching and picking your brows/scabs. Let the healing process evolve naturally. You'll risk premature fading and scar tissue development if you pick. This includes sleeping on your side while the brows heal. Continue to avoid all "actives" (ex: retinol, AHAs, BHAs, glycolic acid, salicylic acid, etc.) around the brows. If you have bangs, try to keep them away from the brows while they heal to ensure dirt and oils from your hair don't fall onto the brows. For the first 10 days, avoid getting the brows wet/humid (ex: swimming, showers, hot yoga, sweating, etc.). For the first 10 days, avoid using makeup in your brows. Touch of JoyYou'll need a follow-up visit, four to eight weeks after your initial treatment. This is the time where you can ask your technician for any tweaks. 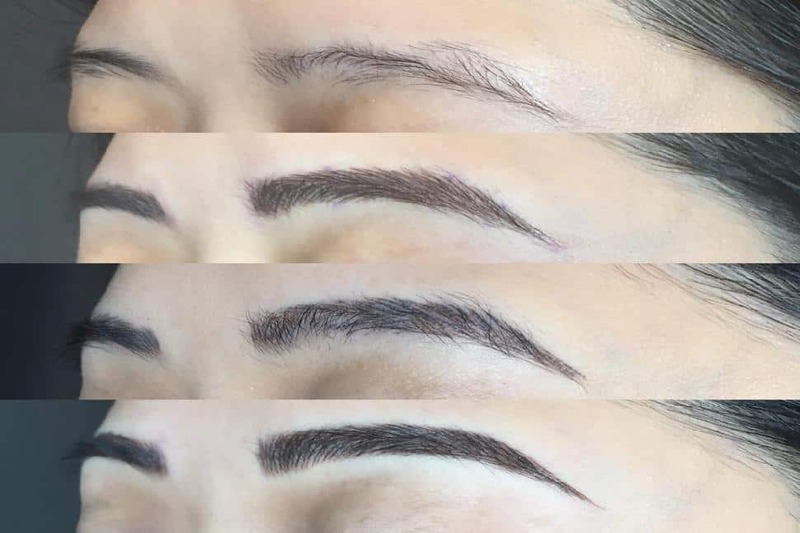 Your technician may choose a different shade during this treatment to provide more realistic, 3-D like effects; just like your own natural hair is many different shades, so are your natural brows. Don't be surprised if this appointment runs just as long as your initial appointment (as mine did), so plan your time accordingly. Also, be prepared that this will hurt even more than the initial treatment. 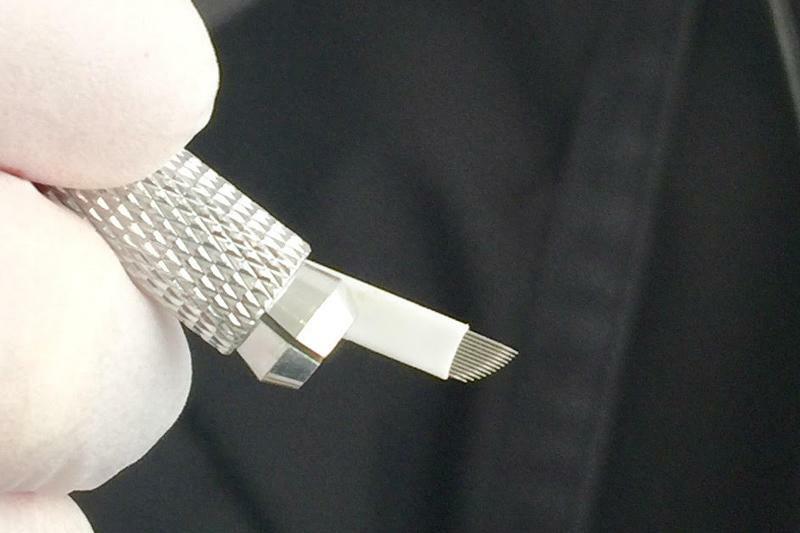 Your technician will be working through scar tissue, which means deeper incisions. The healing process is the same, except accelerated. The itching started for me on day 5, the shedding and sloughing started on day 7. All the rules of post-care protocol need to be adhered to again. The complete healing process is six to eight weeks so if you're thinking of having this done before a special occasion or holiday, take this into consideration.